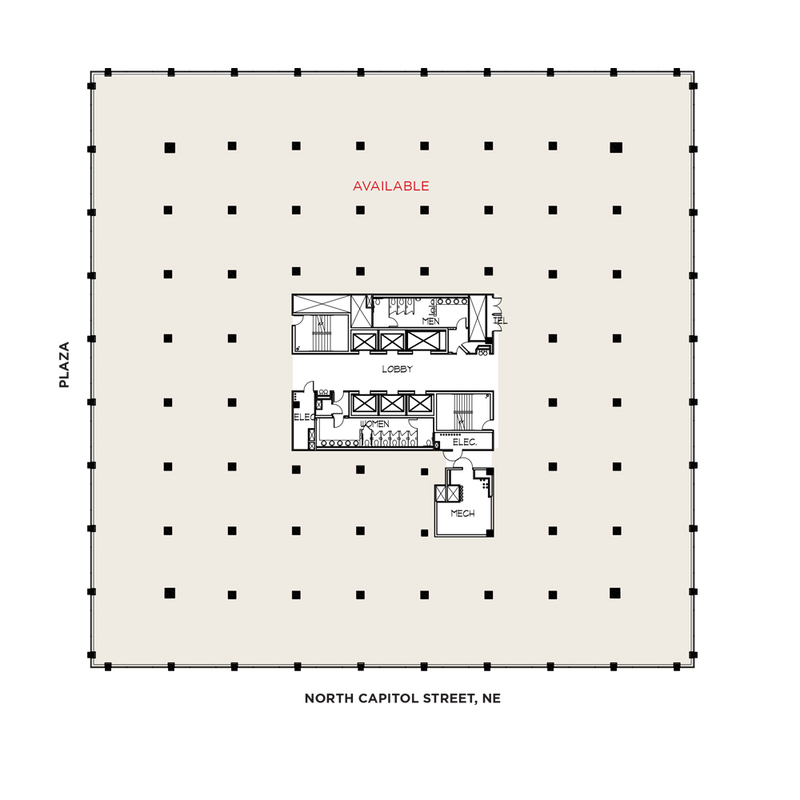 Located in the newly revitalized NoMa submarket, blocks away from Union Station and the Capitol, Union Square has been recognized as a "Walker's Paradise" by WalkScore.com. Union Square can effectively meet the needs of security-conscious agencies while maintaining an open and welcoming environment. A lush, grassy plaza in the Union Square complex provides a rare refuge in the bustling Northeast corridor. 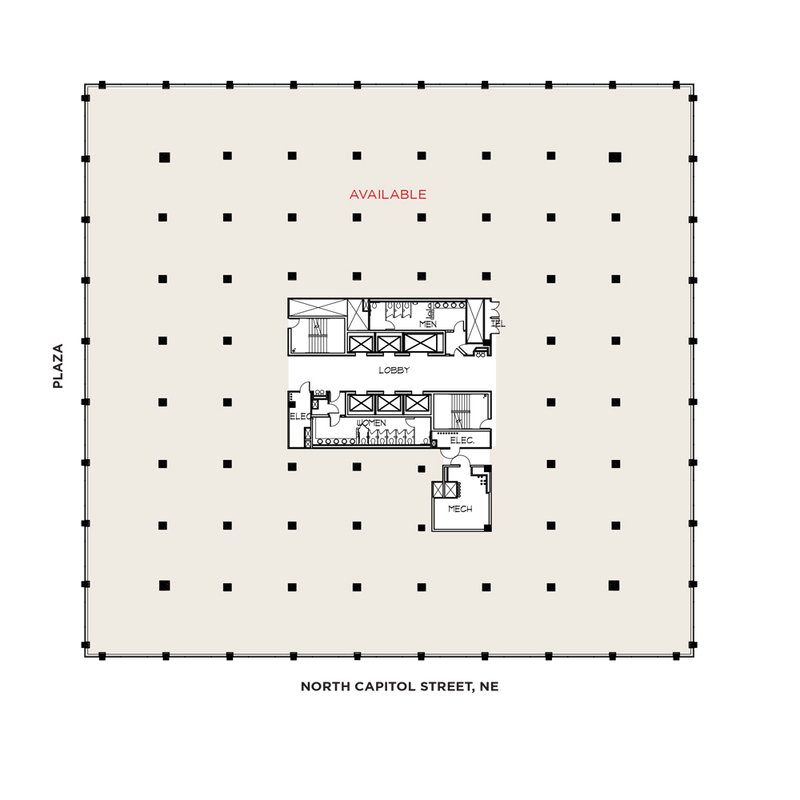 899 North Capitol - the 314,317 square-foot, south building of the Union Square complex - is currently home to District of Columbia's Department of Health. 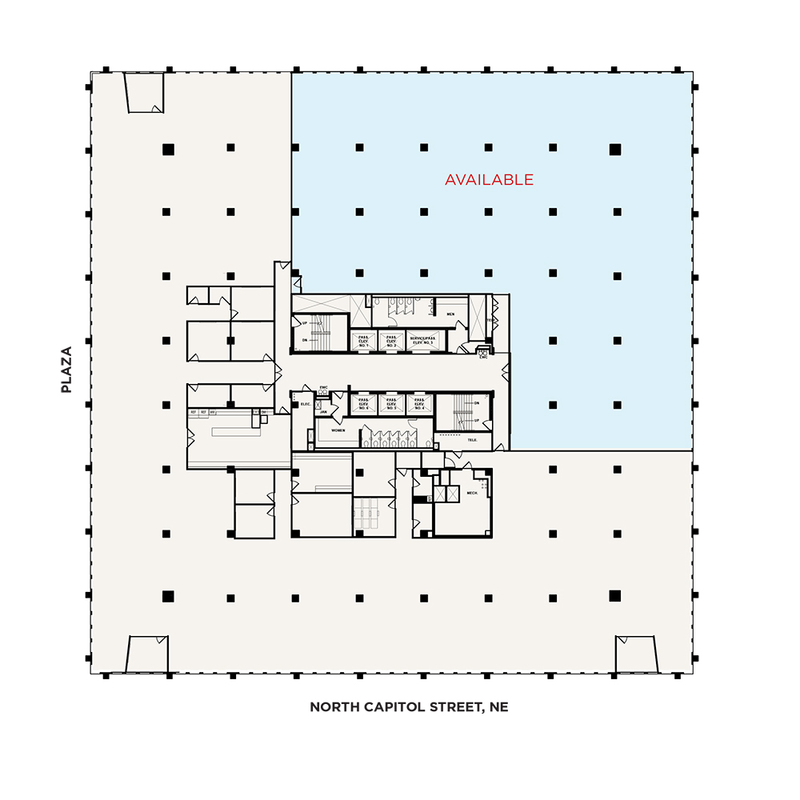 899 North Capitol Street, NE offers approximately 100,000 square feet is available for lease, and both the interior and exterior have been renovated to enhance the common areas of the building. 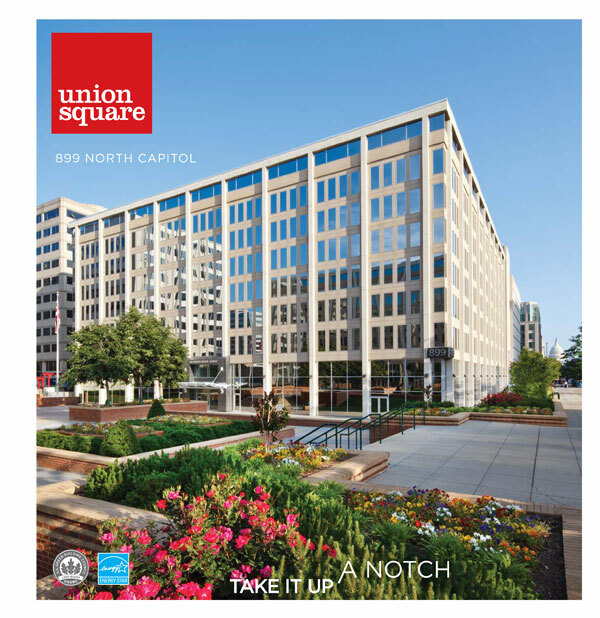 Union Square has been an EPA ENERGY STAR labeled property since 2007, and is also LEED Silver Certified by the United States Green Building Council.